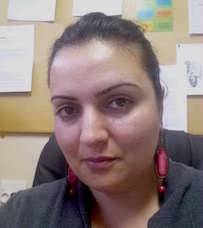 Nadya is a member of the Science Education team and specializes in science teacher training and education. Reyes, V., Reading, C., Rizk, N., Gregory, S. & Doyle, H. (2016). An Exploratory Analysis of TPACK Perceptions of Pre-Service Science Teachers: A Regional Australian Perspective. International Journal of Information and Communication Technology Education, 12(4), pp 1-14. Reyes, V., Masters, Y., Clary, D., Betlem, E.C., Jones, M.A, Charteris, J., Kivunja, C., Rizk, N. & Sigauke, A. (2016): Writing for publication group: professional development situated in the interstices of academia and performativity, Reflective Practice: International and Multidisciplinary Perspectives, 17(4), pp. 444-455. Karami, R. & Rizk, N. (2014). School Reform in the Arab World: Characteristics & Prospects. International Journal of Educational Reform (IJER), 23(4), pp 315-332. Rizk, N., Jaber, L., Halwany, S. & BouJaoude, S. (2012). Epistemological beliefs in science: An exploratory study of Lebanese university students' epistemologies. International Journal of Science and Mathematics Education, 10(3), pp 473-496. Rizk, N. & BouJaoude, S. (2011). Examining Pre-Service Non-Experienced Secondary Science Teachers' Pedagogical Content Knowledge. A paper presented at the National Association of Research in Science Teaching (NARST) conference, Florida, USA on April 2011. Vlaardingerbroek, B.; Rizk, N. & Shehab, S. (2010, April). The Brevet Sciences and Mathematics Monitoring Project: The Early Days. A paper presented at the twelfth annual Science and Mathematics Educational Center (SMEC) Conference, Beirut, Lebanon. Rizk, N., Jaber, L., Halwany, S. & BouJaoude, S. (2009, September). Epistemological beliefs in science: An exploratory study of Lebanese university students' epistemologies. A paper presented at the European Science Education Research Association (ESERA) Conference, Istanbul, Turkey. Vlaardingerbroek, B.; Jaber, L.; Rizk, N.; & Bayoud, J. (2009). The Lebanese brevet chemistry and physics examinations: An exploratory study. International Journal of Science and Mathematics Education, 7(6), pp. 1227 – 1247.